We have wrapped up our Te Araroa Speaking Tour. I plan to do a full recap soon, but let me just say it was more successful than we ever imagined and we are trying to figure out how to launch a longer tour. With the presentations behind us, we intend to regroup, switch gears and focus on other projects for a bit. There's no perfect place to do that than at our favorite Colorado cabin, thanks to our sister-in-law, Rachel (DocDoc) and her family (Rach, can you feel our virtual thank you hugs????). 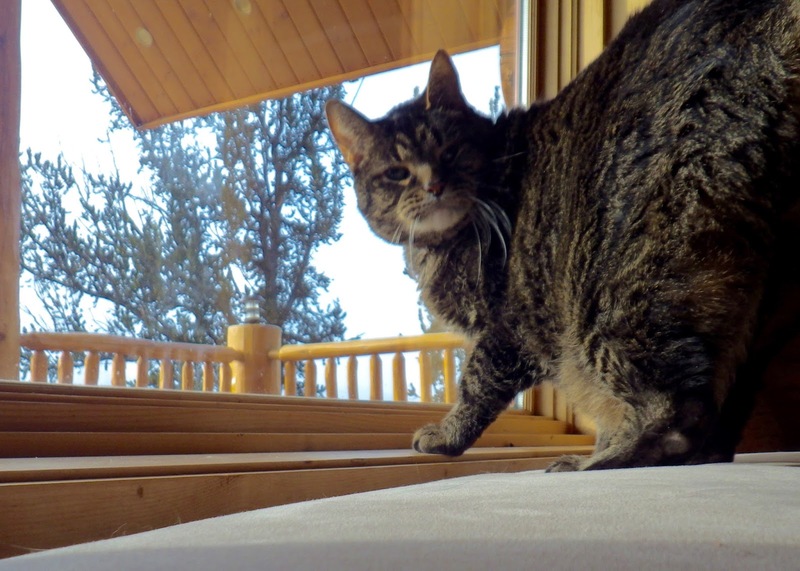 We were able to exchange some pet-sitting duties for cabin time. Win-win. Bailey the dog loves nothing more than to be outside in the snow. 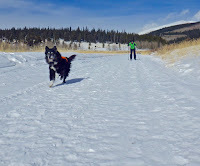 We hit the nice and easy Beaver Creek trail today for 2 miles to ease my lungs into life at 10,000 feet. You will here me gush about the cabin a lot because it still ranks in our top 5 places to be. Don't get me wrong, we have definitely enjoyed some nephew time this past month in Denver and we will return to them (and our professional babysitting services) shortly. But we are NOT city people and there are far too many distractions in Denver! We plan to be ultra productive and have some set goals this week while at the cabin. First and foremost, we want to get outside and play everyday! This area receives an endless carpet of powder almost daily and there are no shortage of XC and snowshoe trails in the area. J is testing out all his layers for Denali--from boots to hats. He plans to weight himself down for practice with his pack and sled (yes, he will be pulling a sled up Denali!). This is a perfect opportunity for me to actually be able to keep up with him!!! Our nephew Everett loves to play with all of J's equipment. He even drew J a pix of a backpack the other day. Could we have a future mountaineer in early training?? Our cabin stay will also include a lot of inside time, with the promise of a toasty fire while watching the snow fall and chilly air blow outside. I have some paying writing projects to fulfill, but I also hope to make some progress on a very big writing project I have yet to announce (stay tuned!). Plus, we have some Bean games and Netflix watching to catch up on!